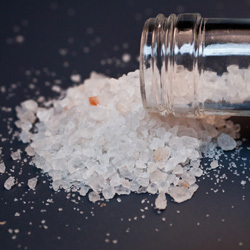 Flakka, Spice and more: synthetic drugs explained. What exactly are ‘bath salts’? New synthetic drugs are proving to be largely unpredictable and extremely dangerous, and have been responsible for mass amounts of overdoses worldwide. However, these dangerous drugs have become a new norm, and as law enforcement officials struggle to keep up with their ever-changing formulas, many of them remain legal. These drugs are often taken accidentally, as users are led to believe they are consuming something else. The synthetic drug masquerades as its original counterpart; they are virtually identical and sold under the same name. With the sudden increase in these life-threatening substances, there is a lot of information floating around, but few clear-cut answers. Here we lay out the facts you need to know about new synthetic drugs. What are Synthetic Drugs, aka Designer Drugs? Synthetic drugs are lab-manufactured chemical replacements for naturally occurring drugs. There are both synthetic and semi-synthetic drugs. These newer human-made substances known as new psychoactive substances (NPS) are often much stronger and less predictable than what we tend to think of as ‘traditional’ hard drugs. Their chemical structures are so varied that they are often hard to classify or outlaw, and there is limited information on their long-term health impacts, though overdose rates clearly show that they are extremely unstable and dangerous. Below are six main categories of synthetic drugs. This plant matter sprayed with lab-synthesized chemical substances is purported to mimic the effects of marijuana. 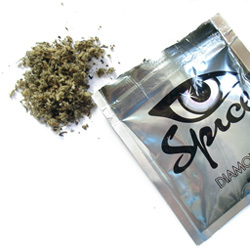 Synthetic cannabis, also known as ‘syncanns’, is commonly sold under the names K2 and Spice, and its effects are actually very unlike those of marijuana. In reality, some experts say the impact can be upwards of 100 times stronger than actual cannabis, with artificial marijuana users reporting experiences of extreme anxiety, hallucinations, confusion and paranoia. Synthetic cannabinoids are extremely high risk and can lead to seizures, heart attacks and psychosis. In 2009, they were linked to approximately 1000 deaths in the US alone, and in 2010 synthetic marijuana was responsible for sending more than 11,000 people to the emergency room. The drug sold under innocuous guises like ‘magic plant food’ or ‘bamboo sticks’ is widely available in head shops and convenience stores in some countries as drug regulators scramble to create legislation addressing the issue. These amphetamine-like drugs have effects comparable to cocaine, ecstasy and methamphetamine. Replacement stimulants and empathogens are most commonly referred to as ‘bath salts’ and go by names such as Flakka, Gravel, Mephedrone (known as MCAT or ‘meow meow’) and Methylone. These drugs are, once again, significantly stronger and more dangerous than the substances they were designed to mimic. Many of these drugs are widely available and sold legally at places as convenient and unassuming as gas stations. Substitute opioids are manufactured to simulate the highs of drugs like heroin, codeine, morphine and opium. They come in dozens of different forms with equally various names. The most popular forms of replacement opioids are Fentanyl, Carfentanil and U-47700. As highly powerful synthetic opioids, they have caused thousands of deaths from overdoses. Often times, the user has no idea they are taking an alternate drug than the one they set out to consume. Carfentanil is an elephant tranquilizer; Fentanyl is a painkiller for terminally ill cancer patients. Both are commonly sold as heroin, and heroin batches are routinely cut with Fentanyl, though these synthetic drugs have been reported to be thousands of times stronger. This has resulted in overdose numbers of pandemic proportions in places like California and British Columbia. New designer psychedelics are meant to imitate the effects of more ‘traditional’ psychedelics like LSD, DMT and magic mushrooms. Popular designer psychedelics are called NBOMes (N-bomb) and 2C-I (‘smiles’). These are highly toxic drugs that can cause a fatal overdose. The recent trend with designer psychedelics is to combine them with stimulants or ‘uppers’. Stimulants carry their own range of negative side effects including dehydration, stroke and heart attack. 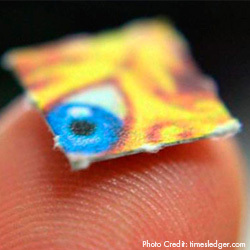 Mixing a psychedelic with a stimulant not only combines the risk factors for both drugs, but also creates a host of new threats to the mind and body. Dissociative drugs cause the user to be detached from their surroundings and themselves by distorting light, sound and movement. Two common dissociative drugs are ketamine and PCP. Newer and even more harmful dissociative drugs have been manufactured under the names Methoxetamine, MXE, MXP and Diphenidine. These recent synthetic drugs are meant to act as a replacement to ketamine and PCP with longer and more intense effects. There is very little known about the Methoxetamine and other closely related drugs as researchers are still trying to understand their effects. These new sedative drugs are meant to feign the impacts of typical sedatives like Valium, Xanax and other benzodiazepines, aka ‘benzos’. Popular designer sedatives slow down brain activity providing a relaxing effect for the user. New designer sedatives are called Etizolam and Flubromazolam. They too have undergone little research but we know that their similarity to other benzos make them highly addictive, and users risk a seizure or coma. 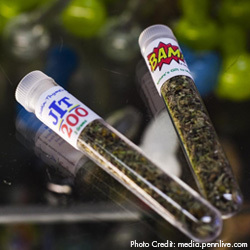 The future of synthetic drugs is cause for concern. As technology advances, so does the ability for more designer drugs to be manufactured. Their likeness to the substances they are trying to replicate dwindles as they become increasingly powerful and lethal. A synthetic drug addiction is very serious and requires the help of addiction professionals to stop using. If you are someone you know is struggling an addiction to synthetic drugs, contact us today.